Coal imports (in value terms) in the first four months of 2013 decreased compared to the same period in 2012 by 43% — up to 675.713 million dollars. Recall Ukraine in January-March 2013 increased coal exports (in value terms) over the same period last year by 1.3% — up to 134.341 million dollars. 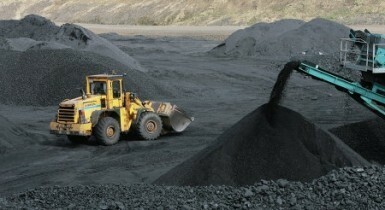 The coal mining enterprises in January-April 2013, reduced coal production by 5% — to 27.8 million tonnes from 29.3 million tonnes in the same period of 2012. At the end of 2012, the National Joint Stock Company "Naftogaz of Ukraine" have attracted the State Development Bank of China (China Development Bank Corporation) loan of $ 3.656 billionU.S.19 years for implementation of the program of substitution of natural gas to Ukrainian coal.